The data was added on ,	19 August 2016 read 626 times. The Syrian Arab Army (SAA) made another strategic advance inside the key town of Darayya tonight, capturing several sites at the outskirts of the Christian District. Prior to reaching this area, the Syrian Arab Army’s Republican Guard, backed by the 4th Mechanized Division and National Defense Forces, managed to seize the Darayya Railway Crossing after a violent firefight with the terrorists of Ajnad Al-Sham. 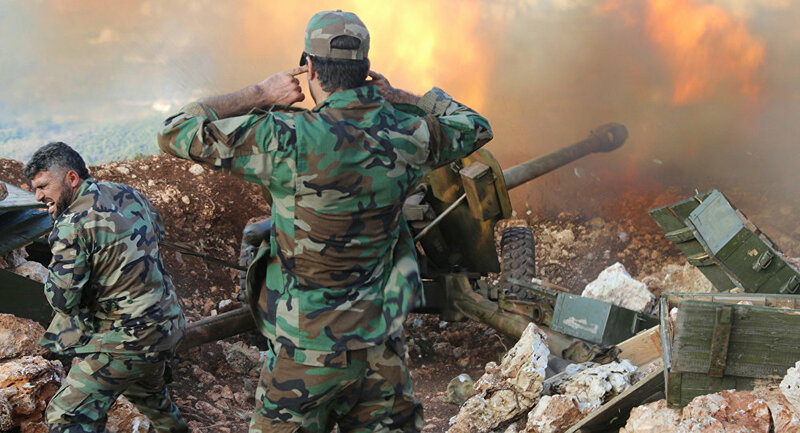 According to a military source in Damascus, the Syrian Armed Forces crossed the Darayya Railway and made their way to the church at the Christian District; this advance prompted the terrorists to fire a barrage of mortar shells in an attempt to forestall their progress. As a result of this latest advance by the Syrian Armed Force tonight, Ajnad Al-Sham have issued a cry for help to their terrorist allies in the West Ghouta region of rural Damascus; however, they are completely cutoff from any supply route.